Missing a deadline is a freelancer’s worst nightmare. Meeting deadlines ensure the workflow keeps moving smoothly and it also keeps clients happy. However, every once and a while, even the most efficient freelancer can miss a deadline. This tends to happen often around the holiday season. During this busiest time of year, meeting deadlines matters even more especially if a client is trying to get ahead or tie up lose ends before everyone takes time off for the holiday. If you’re already starting to get overwhelmed with tasks, here are some ways you can avoid missing deadlines over the holidays. This is one of the best ways to avoid missing deadlines year round. 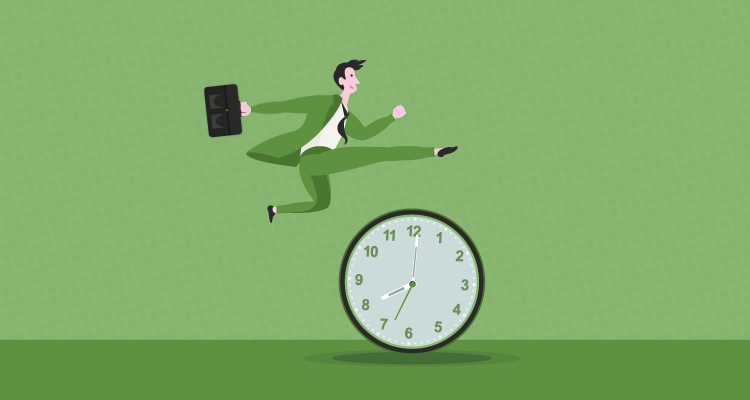 Freelancers have lots of flexibility in terms of their schedules, but life is also unexpected. If something pops up that prevents you from being able to get work done, you won’t miss a deadline if you’ve worked ahead. In order words, you can afford to fall behind slightly since you gave yourself a nice buffer. It may be challenging to get ahead with your workload but you can take it one step at a time. Start by working ahead with one client, then move on to the next. You may even want to tell clients you’re working ahead so they can give you assignments and any additional details you’ll need well in advance. It’s important to let clients know when you’ll be out of the office or simply away from your computer during the holiday season. If you’re planning any travel or events, you’ll want to give your clients a notice so they can plan accordingly. For one of my clients, we all post in a Slack thread when we will be out of town because we often depend on each other to get certain tasks done. When one person misses a deadline, it slows the process down so that we all miss a deadline. If you communicate with your client and team ahead of time, deadlines can be rearranged and you can plan accordingly. It’s important to be honest about how much work you can take on over the holidays and set clear expectations with clients so they know your bandwidth. If you overbook yourself over the holidays, you’ll likely miss deadlines or be a nervous wreck by the time you finish all your projects. If you see a problem coming with the work you have so far, slow down and bring it to the clients’ attention. Timing is everything and if you can communicate any questions or concerns in advance, you can avoid missing deadlines over the holidays. If you are filling up your work schedule for the holiday season, be sure to keep it organized and add all your deadlines to your calendar. If you’re using a digital system, you can possibly even set reminders to make sure you turn things in on time. You’re only human and it’s not uncommon that you may forget things from time to time. You can avoid missing important freelance deadlines by adding everything to your calendar so you know how to plan out your to-do list. Missing deadlines often lead to client dissatisfaction and can also open the door to late and unreliable payments. You want to maintain a professional relationship with your client and that means holding up your end of the deal – even during the holiday season. Use these tips to avoid missing deadlines as a freelancer and be sure to plan out your work schedule and set realistic expectations with clients.